SIX women and one man from a startup team are out to prove this, as they develop a mobile application where users can reach an accessible house helper with just a click. “Team Hire Heroes PH is a platform for booking reliable and convenient household help to cut off the time looking for helpers,” Abigael Diez, 25, an application developer and one of the members of the team, told SunStar Cebu. 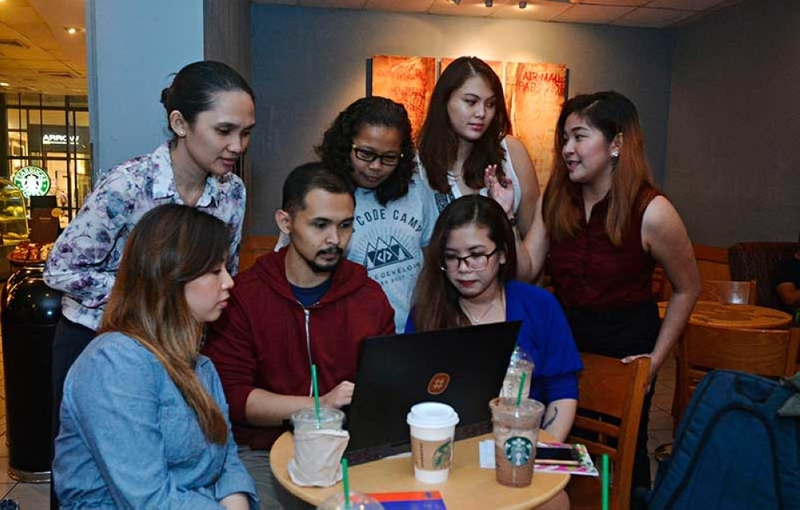 The team won in the StartUp Weekend Women Edition in Cebu, where they met like-minded working professionals who wanted to start their own business. Startup Weekend is a 54-hour event where designers, developers, marketers and startup enthusiasts gather to share ideas, form teams and launch startups. It is part of the Startup Weekend events held across cities in the Asia Pacific. Around 35 individuals participated, but it was the idea of Diez and her teammates that stood out. They were categorized under three types of participants--hipsters for creatives, hustlers for entrepreneurs and hackers for web developers. Jazer Labuac, 30, a firmware engineer, said that the contest piqued her interest. “In my line of work, it’s a male-dominated industry. I joined because I wanted to meet women like me and finally, we were given an outlet for our ideas,” she said. Katrina Balmaceda, 35, who works as a content strategist for a company based in Singapore, said that she was curious about startups. “I also write articles about startup companies, so it made me curious. I also started my own social media advertising agency, so it’s the major reason why I joined,” she said. In the activity, participants were given five minutes to lobby their ideas and a minute to present it. For 30-year-old Gama Comaingking, who is a single mother and a freelancer, the idea of a mobile app to hire house helpers was personal. “I have jobs for day and night so I don’t have time to do house chores. I employed stay-out maids but you have no control, especially if they would ask for cash advance and not return anymore,” she said. Clint Estal, 26, also a web developer, said that they envisioned Team Hire Heroes PH to allow house helpers earn extra income. “The initial idea is to empower the heroes and consider them as freelancers. We don’t employ them. It’s their prerogative if they would take jobs,” he said. Estal added that they will personally screen and train the “heroes” to ensure quality service to the household. The app will also include the skill sets of the different heroes, where they specialize on cleaning, doing the laundry, babysitting or even dog walking. For the protection of the helpers, Tatiana Perez, 26, a medical technologist and entrepreneur, said that rating between the heroes and the household will go both ways and in case an incident will happen, it could be tracked. “There will be an incident report for documentation before we will go through the legalities,” she said. Daphny Palaña, 36, who works in real estate, said that they will earn the revenue through 15 percent in the booking fee of the heroes’ hourly rate. Palaña said that they are also looking for sponsors as they develop the app. The team is also planning to tap the Technical Education and Skills Development Authority (Tesda) and other government agencies to find potential house helpers. Team Hire Heroes PH is set to fly to Bali, Indonesia on Oct. 20 to Oct. 21 to join the Startup Weekend Asia-Pacific Finals.